AMSTERDAM—The European Medicines Agency’s (EMA) proposal regarding the specifications of the European Union (EU) clinical trials database can jeopardise the transparency advances obtained through the European Clinical Trials Regulation. We call on the EMA to stay true to the Regulation and ensure that its implementation improves public access to scientific evidence about the effects of medicines on human health. On 2 April, 2014, the adoption of the new EU Clinical Trials Regulation showed a strong political commitment to transparency by both the European Parliament and Council (1). In fact, public access to clinical trial data allows independent analysis, enhancing knowledge about the real benefits and harms of medicines (a). Yet, as soon as the Regulation was approved, the European Federation of Pharmaceutical Industries and Associations (EFPIA) called on “the Commission and EMA [to] interpret the Clinical Trial Regulation in a manner that respects (…) incentives for companies to make long-term investments in biomedical research” [i.e., to protect what they consider commercially confidential information] (2). Judging by the proposal on the specifications of the EU database on clinical trials, which the EMA circulated for public consultation (from 21 January to 18 February, 2015), it appears that the EMA has responded to industry demands (3). The EMA’s draft proposal aims to interpret the transparency exceptions established in the European Clinical Trials Regulation (Regulation (EU) No 536/2014) (2). However, it misinterprets the Regulation and, as a result, regards non-disclosure as the norm rather than the exception. This creates leeway for non-compliance of sponsors to their legal obligations. The EMA goes as far as proposing a very broad definition of “commercially confidential information”. Its implementation would allow clinical trial sponsors to circumvent the publication of whole documents (including trial protocols, subject information sheets, investigator brochures, the investigational medicinal product dossier, etc.) simply on the grounds that their economic interests might be potentially undermined (b,c). The EMA also proposes to defer the trial information (e.g., trial protocols, investigational medicinal product dossier (IMPD) safety and efficacy sections) up to 10 years after the end of a trial by establishing a complex classification system that ranks clinical trial documents into different categories (as per the “stage of development” of a medicinal substance or the “intent” of a given trial). Most strikingly, neither the EU Clinical Trials Regulation nor the Declaration of Helsinki on Ethical Principles for Medical Research Involving Human Subjects provide such a “classification” (d). On the contrary, the EU Clinical Trials Regulation clearly highlights the importance of providing public information, even requiring Member States to establish penalties in cases of non-compliance. According to Pierre Chirac, coordinator of the Medicines in Europe Forum (MiEF): “Clinical trial sponsors will feel entitled to postpone or even avoid the publication of clinical data on the grounds of commercial confidentiality or “trade secrets” protection. Moreover, by proposing to defer the publication of information, such as protocols, up to 10 years after the end of a trial, the EMA demonstrates that it regards clinical trials as industry data, not as scientific data of public interest”(e). In addition, the document states that “the EU database will not contain any individual patient listings from clinical trials” even though such listings are part of clinical study reports (f). De-identified participants’ listings cannot be regarded as patient personal data. They are scientific data that researchers need in order to re-analyse clinical trials’ results. Clinical trial participants often accept putting themselves at risk, hoping that their contribution will benefit society through the advancement of science. N°1049/2001, freedom of information is a fundamental right of European citizens (4). Adopted on 2 April, 2014, the new EU Clinical Trials Regulation is indicative of a strong political commitment to transparency; a commitment to which the EMA must also comply. a – Such analyses allow researchers to compare the effectiveness of treatments and provide healthcare professionals and patients with information to support informed choices. b – According to EMA’s draft, commercially confidential information encompasses “any information contained in the data or documents submitted to the database that is not in the public domain or publicly available and where disclosure may undermine the legitimate economic interest of the sponsor” (ref. 3). Moreover, despite the claim that “the implementation of the transparency rules of the Clinical Trial Regulation is without prejudice to the application of Regulation (EC) No 1049/2001 and citizens’ right to request documents under that Regulation”, this definition could influence the way the EMA answers to information requests. c – In our opinion, any exception to disclosure should be justified by the companies who should have to explain how the release of the information they claim to be commercially confidential would truly harm their interests; it should only involve the removal of specific elements within a document and should never be applied to entire sections or certain types of documents (ref. 4). 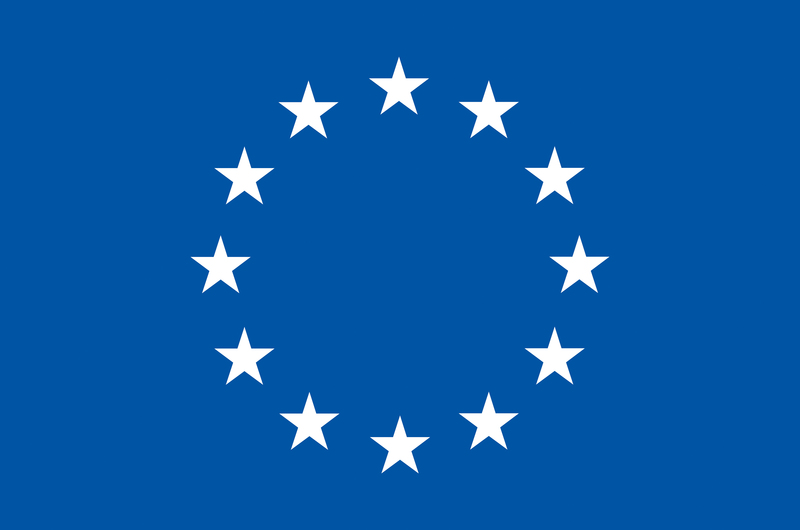 d – According to the EMA, “the period of 10 years has been chosen to give a reasonable period after the trial has been completed, before publication, 10 years corresponding, by analogy, though not actually linked to, the data protection period provided for in the EU.” The EMA seems thereby to confuse two concepts. Regulatory data protection means that generic and biosimilar producers cannot use data of the “innovator” industry during 10 years for request for a marketing authorisation even if it is publicly available. It does however not prevent for data transparency, which is needed to avoid publication bias, allow for the reanalysis of clinical trial results and cost-effectiveness assessments. e – Moreover, industry-funded research often benefits from public funds (access to investigators and research teams at public research sites; public funding for basic research through EU grants and member state funding, etc. It is therefore more than reasonable to expect that all data from biomedical research is made publicly available. f – We are unfortunately far from November 2012 EMA’s announcement that it would “proactively publish clinical-trial data and enable access to full data sets by interested parties”—the aim being to allow for reanalysis of trials’ results (ref. 5). 1 – “Regulation (EU) No 536/2014 of the European Parliament and of the Council of 16 April 2014 on clinical trials on medicinal products for human use, and repealing Directive 2001/20/EC” Official Journal of the European Union, 27 May 2014: L 158/1 – L 158/76. 2 – “EFPIA calls for collaboration in the implementation of clinical trials regulation following vote in the European Parliament” press release, 3 April 2014: 2 pages. 4 – Lemmens T “Access to pharmaceutical data, not data secrecy, is an Essential Component of Human Rights” 8 April 2014. http://www.law.utoronto.ca/blog/faculty/access-pharmaceutical-data-should-be-framed-human-right-not-data-secrecy : 3 pages. The International Society of Drug Bulletins (ISDB), founded in 1986, is a worldwide Network of bulletins and journals on drugs and therapeutics that are financially and intellectually independent of pharmaceutical industry. Currently ISDB has around 80 members in 41 countries around the world. More info: www.isdbweb.org. Contact: press@isdbweb.org.